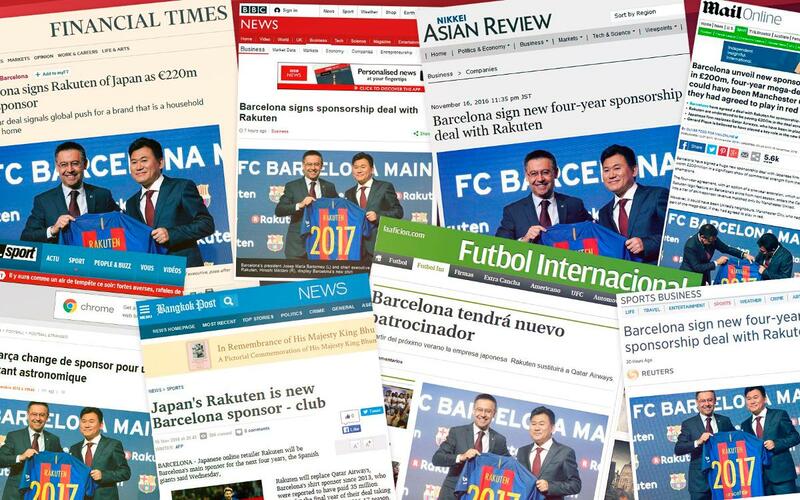 It's safe to say that FC Barcelona's new sponsorship deal with the Japanese firm, Rakuten, did not go unnoticed. The four-year deal, worth €55m annually plus incentives made quite a splash in the global press, garnering much-deserved attention around the world, both in general news outlets as well as in the realms of sports and finance. The BBC: "It is one of the biggest football shirt sponsorships yet seen and could make Barcelona wealthier than Real Madrid, currently the world's richest club.